We have to feed the LS1 and we just can't do it with off the shelf technology. That would be too easy. Since the air ride system can lower the car, we had to raise the fuel cell into the trunk space so that it would not get crushed. This intrusion into the trunk meant that we could no longer keep a full size spare tire. How to fix this? 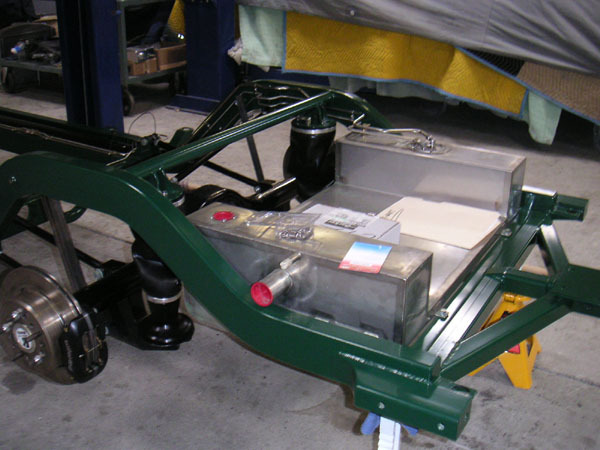 Create a "U" shaped fuel cell that cuddles a temporary spare! You know this car is a driver if it has a spare tire. You know this car was designed, from the start, to be a driver if so much attention went into the realization of this feature. 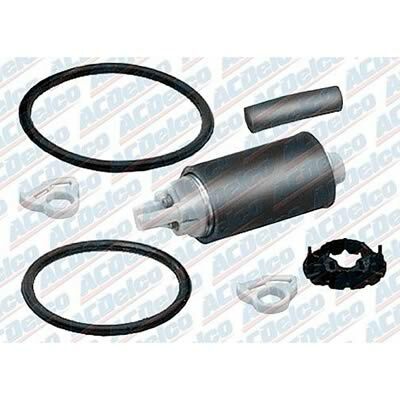 ACDelco EP381 electric in-tank pump.